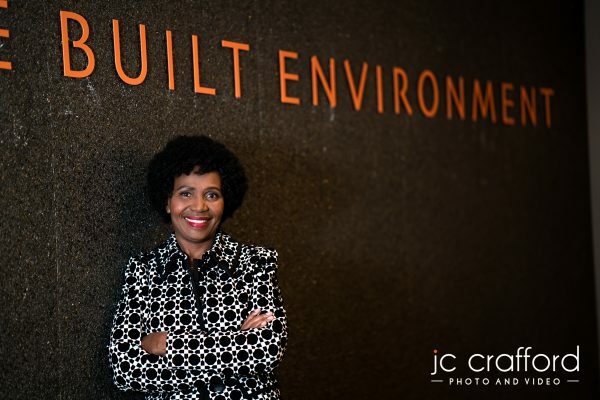 Transformation in the built environment has progressed more slowly than in other sectors, such as the financial sector, with only 26% of all registered built environment professionals being previously disadvantaged individuals and only 0.3% of all registered professionals being women, Council for the Built Environment (CBE) CEO Priscilla Mdlalose pointed out in her address onThursday at CBE’s second yearly Transformation Indaba. The CBE’s analysis of built environment professional candidacy, however, indicates that the majority of participants are from previously disadvantaged groups and that women candidates now make up 35% of all candidate built environment professionals, raising hope that transformation will grow at a faster pace in future. Mdlalose said in-depth consultations with stakeholders is critical, as well as partnerships between the public and private sector and society. The CBE wants to establish an institution with oversight of transformation initiatives and to advance human resource development from primary school to professional status, using programmes and awareness creation around subjects required to ultimately enter the built environment professionally. It also wants to drive a structured candidacy programme, establish sustainable funding for bursaries and design a sector-wide monitoring mechanism that the aforementioned oversight institution will use. “The success of the CBE’s efforts depends on the buy-in from public and private sector stakeholders, the successful establishment of a fund to sustain transformation initiatives, positive participation from stakeholders in the education and training value chain, and the willingness of private sector to fund key programmes and commit to workplace training of candidate professionals,” noted Mdlalose. Turner and Townsend associate director, CBE council member and Transformation Indaba programme director Noluthando Molao said political emancipation must translate into economic emancipation, through transformation initiatives, to build a better South Africa for all. Within the built environment, the CBE believes that, besides the quantitative aspects, relating to representativeness, transformation should also be closely linked to qualitative changes that will lead to the empowerment of built environment professionals, while unblocking the skills pipeline and generating new knowledge that enhances the contribution of the built environment professions towards the developmental objectives of the country.